Anxious and afraid of anxiety? Hypnotherapy could help you! Anxiety is bad enough. Anxiety about anxiety must surely be worse! Anxiety is a horrid feeling and it has any number of potential causes. It all, however, boils down to one central belief : ‘I am not good enough to cope’. 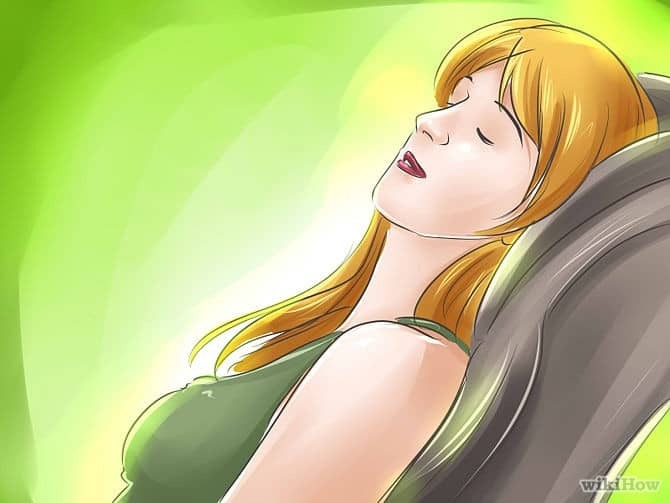 Hypnotherapy is an excellent therapy when dealing with anxiety because it is not only able to drill down to the core process (the central belief which underpins the symptom) and thus resolve it at source but it’s also better placed than practically every other therapy to teach methods of relaxation. Hypnosis isn’t relaxation. You can be hypnotised whilst being a million miles away from being relaxed. However, hypnotherapy can help teach people to relax around the fact of anxiety whilst the causes of that same anxiety are being dealt with. As a part of my training I had to have plenty of personal therapy. It’s essential in my view, that wannabe therapists are self-aware. Therapy whilst training helps this to happen. I met, worked with and learned plenty from some wonderful therapists during this time. I always felt, however, that the therapy on offer would be immeasurably improved if they could only teach their clients to relax around their symptoms. Many of my clients begin to feel anxious one day and think it will pass. When it doesn’t they begin to feel annoyed. They begin to criticise themselves for the feeling of anxiety. They begin to become anxious about the possibility of feeling anxious. They create their own anxiety and it becomes a self-fulfilling prophecy. I teach my clients to relax around anxiety in session one. They can then be relaxed whilst we deal with the underlying and core belief. They lose the anxiety and then, by degrees, the core belief of ‘I’m not good enough’ is eroded and destroyed. The causes of chronic anxiety are too numerous to list here. It could be that the child isn’t treated with as much love and compassion as it needed. It could be that a parent is anxious and transmits that anxiety to the child. Young children learn about the world from their care-givers and if the model provided indicates that the world is a fearful place then that will be what is handed down. It could well be that life at home is perfect but that life at school is anything but. I have lost count of how many of my clients have had their self-esteem ruined by bullying. Bullying is a perfect way through which to lean that ‘I’m not good enough’. There could be any number of traumas which serve to teach us to be anxious. We could even be strong and live for decades without anxieties and then, one day, something happens which destroys our ability to be strong any longer. Some people learn to be too strong for too long. They block emotions and cope. Eventually, however, they find that they can’t cope any longer and anxious emotions flood in through the cracks. I have helped hundreds of people from Reading, Didcot, Wallingford, Thame and Oxford to leave their anxiety behind them. The first step is to accept the feeling, to observe it and to let it rise and fall. The next steps are identifying the causes, the underlying beliefs, and to work on these until they are extinct. Self-esteem is built up until the client finally recognises that they are good enough, until they are able to regulate emotions and until they do feel in control of their own lives, once again. I look forward to hearing from you, whenever you’re ready.